The tone out of the capitol is surprisingly subdued at this time. 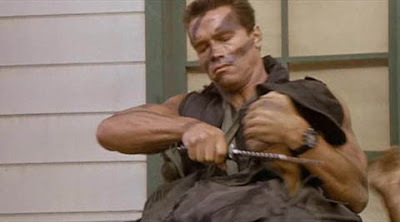 The Legislature and Governator's office are currently behind closed doors, and nothing about their progress has leaked. All-in-all, I read this as a positive development. I think both sides want to avoid a government shutdown, and I believe Arnold has proven his willingness to go all the way on the tax increase issue. I predict there will be an 11th hour compromise this evening that will deal massive cuts to spending on state services. State workers should expect a third furlough day to be ordered post hoc by the Governator once the revised budget is passed. All negotiations failed, so the state is now in uncharted fiscal waters. The controller will have to begin payment triage immediately, which means IOUs, and recommendations for agency shutdowns. The disaster everyone thought would happen "someday" is upon us. Any more predictions are a waste of time. Not that it matters after the fact, but I wasn't expecting a deal to be struck. I think too many legislators are incapable of dealing with the entire deficit at this time, which the governor said was mandatory. Truthfully, the dems completely folded at the end, but the rep senators held back anyway. The Governator must believe we need a deeper crisis before true reform is possible. The next few months are going to be brutal. The Governator must believe we need a deeper crisis before true reform is possible. Yea maybe. Even if that wasn't his intention, it might be true. Crisis precipitates change, let's just hope it's change for the better.